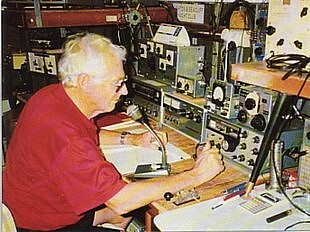 Many articles by Lloyd Butler VK5BR have been published in journals, including Amateur Radio and OTN since the 1980's. The site has been set up to display some of the material published. Before Valve Amplification - Wireless Communication of an Early Era. Lloyd has been the Historian for the Adelaide Hills Amateur Radio Society (AHARS) for a number of years - Here are some articles on the AHARS Internet site concerning history of the Club and its early predecessor, the Blackwood Radio Club. The Lower Murray Club, commencing in 1976 in the town of Murray Bridge, is now part of the Adelaide Hills Club. However the amateur radio history in Murray Bridge goes back to 1924. Click here to engage the Murray Bridge Amateur Radio Story. Listed here is an early history of the South Australian Division of WIA from 1919 to 1980 written by Marlene Austin VK5QO/VK3EQO, and originally published in 1985.